RED ALERT: Sage Creek (#1478) from Sarge’s herd has 3-Strikes, is miserable and needs to get to sanctuary not slaughter! Was Sage Creek (#1478) given Pesticide PZP like so many of the Fish Creek mares from Sarge’s herd who were rounded up, forcibly drugged but never released? 80.1% = Percentage increase in one year? Looks like some funny numbers! Here are some Fish Creek mares at the BLM’s facility in Fallon, Nevada in 2015. They were going to be given Pesticide PZP and returned to the range but many were never returned. How many were slammed with 3-Strikes and where are they? Can you find Sage Creek in with her relations? 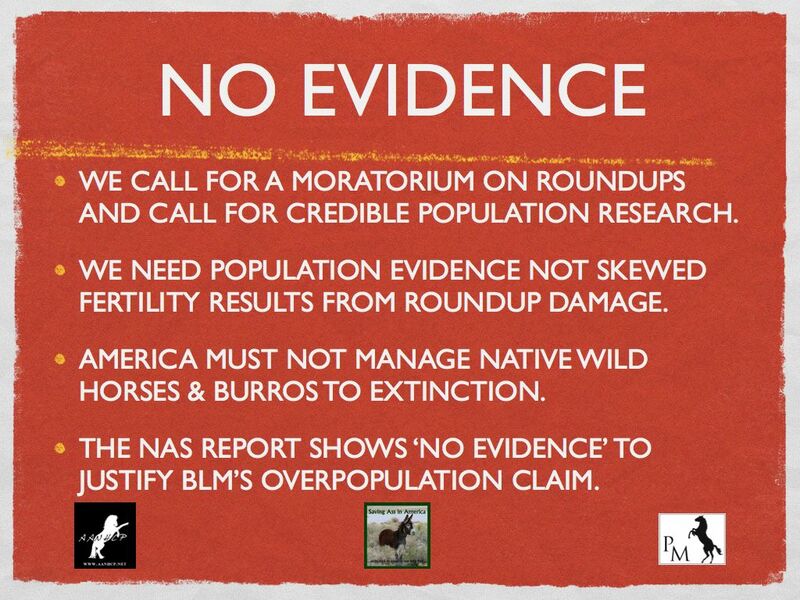 The BoLM doesn’t want to use widespread PZP they want a one-shot quick way to sterilize America’s wild horses based on the false premise that wild horses are overpopulated and need fertility control. . . when the truth is they are being managed to extinction! 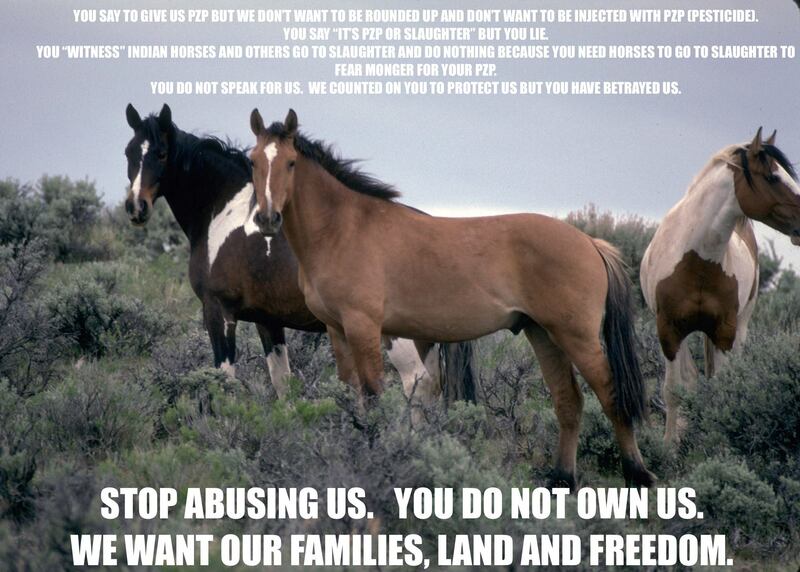 Supporting PZP only supports the BLM’s divide and conquer game to ruin a united force to protect America’s wild horses. It’s time to focus on the wild horses not pesticides. Now Sage Creek looks horrible and should be honored with a life in sanctuary away from those who brutally ripped her from her family and freedom when they rounded up the Fish Creek wild mares for Pesticide PZP–made from slaughterhouse pig ovaries. Tag-#1478. 6 year old red roan mare gathered from the Fish Creek Herd Area in Nevada in February of 2015. You can help by sharing Sage Creek’s (#1478) post to find a sanctuary who will give her a safe forever life and help her improve her body condition. Sage Creek never deserved to be forcibly drugged with Pesticide PZP under the false promise of returning to the wild, get 3-Strikes and become at-risk of ending up at slaughter. Share to help save her now! Together we can turn this around. Why isn’t the Bureau of Land Management making a sale to safety happen? Many people have shown interest in buying 6-year-old Nellie Diamond (#0484) but she still has no bid listed on her page and the auction is over. Is the BoLM returning email inquiries and phone calls? She can be adopted or sold. With sale the purchaser gets title of her immediately. With adoption she can be returned to BoLM if the adopter wants to. Of course then she would have another strike . . . Might be best to get her to a sanctuary with her friend Star Creek (#1483). The pair would only cost $50 and 2 lives would be saved. Star Creek (#1483) is a sweet 6-yr-old mare from Fish Creek, NV who was rounded up last year to forcibly drug the mares with Pesticide PZP– made from slaughterhouse pig ovaries. Now Star Creek has 3-Strikes from failed adoptions and is another RED ALERT wild horse now at-risk! This lovely wild mare wasn’t picked because she’s ‘plain” even though she seems very sweet with a special star. Now she’s at risk of being sold to a horse trader who might sell her to a kill-buyer for slaughter. Please share Nellie Diamond (#0484) and Star Creek (#1483) so together they can go to a loving home or sanctuary! 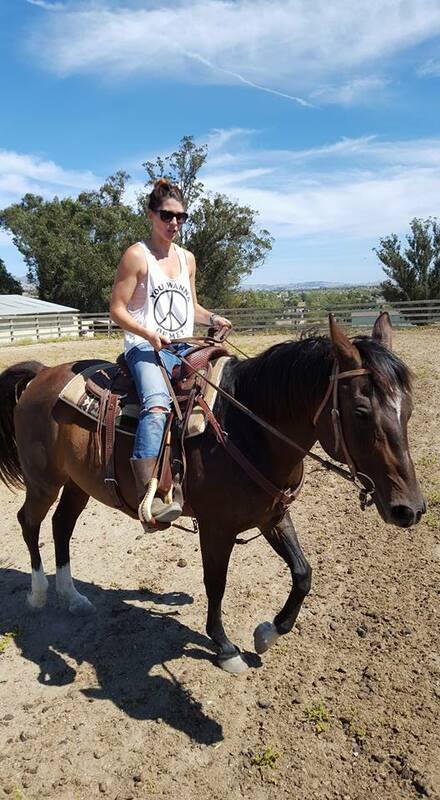 This horse is available for sale or adoption with bids staring at $25.00. At the conclusion of the bidding, the successful bidder will inform the BLM if they are purchasing or adopting the animal. If the animal is purchased, not adopted, the successful bidder receives bill of sale to the animal upon completion of payment and final paperwork. If the animal is adopted, the minimum bid must be $125, and the animal is not eligible for title until the one year anniversary. Other pick up options: Ewing, IL (September 3) ; Mequon, WI (September 16); Clemson, SC (September 23); Loxahatchee, FL (September 30); and Murray, KY (October 7). Adoption confirmation for this animal must be finalized, by e-mail to BLM_ES_INET_Adoption@blm.gov, no later than Noon Mountain August 4. After this date, all unclaimed animals will be available for in-person walk up adoption/purchase ONLY. Do you know Utah ranchers & cattlemen want to get control of federal land? They don’t seem to like BLM or wild horses! “We are not welfare ranchers. We do not take one dollar of state or federal assistance on our ranches because we believe that every time you take money you didn’t earn, somebody earned money they didn’t get,” says Darrell Spencer. It’s unclear which of these ranchers is a ‘welfare rancher” but Darrel Spencer says he’s not one of them. ELY, Nevada – The Bureau of Land Management (BLM) Ely District is scheduled on Monday to begin a helicopter roundup to wipe out approximately 100 wild horses from public and private lands adjacent to U.S. Highway 93 and State Route 322 in and outside the Caliente Herd Areas Complex and Eagle Herd Management Area in eastern Nevada. This issue could be resolved with fencing but they would rather spend the taxpayers money for the next 20 years to warehouse wild horses or send them to slaughter after the American taxpayer has fattened them up with hay. The District will remove up to 50 wild horses from between Pioche and Eagle Valley that have moved outside the Eagle HMA in search of forage during last years drought. Now that the area is getting enough precipitation the BLM could simply push them back onto the HMA to save the taxpayers money. The Arbitrary Management Level (AML) for the Eagle HMA is 100-210 wild horses. The current population is 1,370 wild horses. The District will remove up to 50 wild horses from Oak Spring Summit west of Caliente that have moved outside the Caliente Complex in search of forage. Why is the Caliente Complex managed for zero wild horses? The current population is 796 wild horses. The roundup is expected to take four to six days to complete. A veterinarian will be on site during roundup operations, which will be conducted by a contractor. The native wild horses will be removed forever, transported to the Axtell Contract Off-Range Corrals in Axtell, Utah, where they will be offered for adoption to qualified individuals if the BLM’s customer service improves. Un-adopted wild horses will be at risk of being sold to slaughter middlemen after 3 strikes in BLM’s failed adoption system or placed in long-term pastures where they will be humanely cared for and treated, and retain their “wild” status and protection under the 1971 Wild Free-Roaming Horses and Burros Act until they are over ten years old and then they legally can be sold by the truckload to a slaughterhouse in Canada or Mexico according to the Burn Amendment to dispose of wild horses and burros. The BLM claims they do not sell or send any wild horses to slaughter. They sell them to the middlemen who then sell wild horses to slaughter. This way the BLM’s hands don’t get dirty. Have you wondered why no well funded group is challenging the roundup in court or mediating for alternative holistic management solutions? Is the BLM using fertility control or just removing all the wild horses? Follow the money . . . Know what resources (renewable energy, tracking mining, etc.) are about to erupt in that area. Keep in mind this is the same BLM office and cast of shady characters who are involved in the Water Canyon GONACON™ EXPERIMENT. The roundup Hotline has been established at 775-861-6700. A recorded message will provide updated roundup activities. Roundup reports will be posted on the BLM Ely District website at http://on.doi.gov/1lGnDYC. Please go to the roundup if you can at your own risk, document and now that it’s 2016 be sure to report animal cruelty to the FBI if you see it. But be careful because this part of the country is run by wild horse hating scoundrels pretending to be otherwise. 1.) 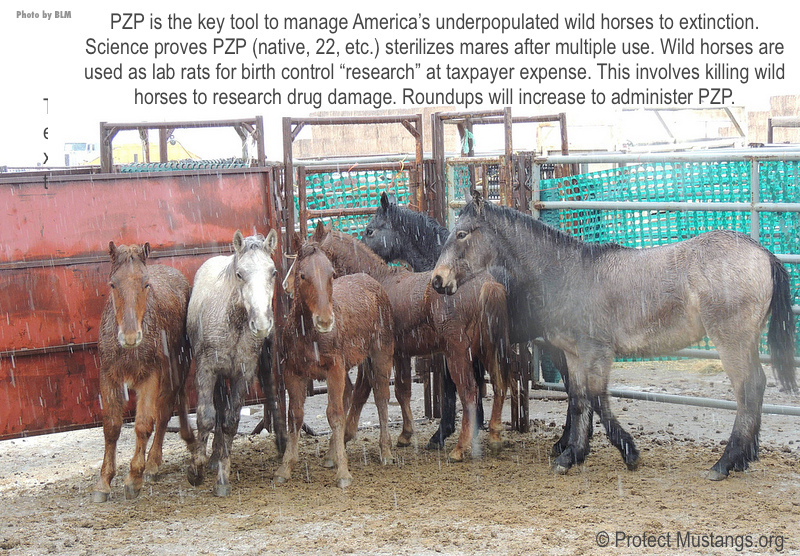 We object to using tax dollars to experiment on, forcibly drug with PZP, SpayVac® or Gonacon™ and / or sterilize America’s wild horses on the White Mountain herd management area located in Wyoming (http://www.blm.gov/wy/st/en/field_offices/Rock_Springs/wildhorses/whitemtn.html) or elsewhere. 2.) We do not want federally protected wild horses to be used for research experiments using radio collars, devices in tails and spaying America’s federally protected wild mares. Research and Sterilization is a form of harassing wild horses. This is heinous and cruel. The public is outraged and they are calling for nationwide protests to bring awareness to this wrongful act against American wild horses. 3.) Wild horses found in the White Mountain and Little Colorado HMA’s are not “excess” according to the Wild and Free-Roaming Horses and Burros Act of 1971. For example, there is only 1 wild horse per 6,000 acres in White Mountain. The BLM fraudulently inflates population growth (see: http://protectmustangs.org/?p=8551) and never performs a real headcount. 4.) We support natural selection and we are against fertility control especially before reintroducing the natural balance of predation because America’s wild horses deserve to live on public land set aside principally but not exclusively for their use according to the law. Allowing more than 50 to 1 units of livestock to wild horses is unfair and goes against the 1971 wild horse protection act. We request you follow the law and give America’s wild horses and burros back all the public land you have taken from them since 1971. 5.) Fertility control, such as spaying and/or PZP, will destroy the beloved White Mountain herd’s genetic viability, wreck havoc on their behavior and social structure–so therefore we are against it. “Spaying a mare is a more complicated medical procedure than gelding, involving entering the abdominal cavity. Although there is more than one way to spay a mare, each resulting in the removal of the ovaries, the procedure tends to be painful and there can be scary complications, such as bleeding from the ovarian artery, which can be difficult to control. More recently, many veterinarians elect to spay mares using laproscopic methods, which means using small incisions and inserting small cameras on the ends of lasers to view the ovaries and remove them. . . 8.) BLM has been inflating wild horse population estimates to justify removals and appears to be fleecing the American taxpayer. The Appropriate Management Level (AML) is a biased number favoring the livestock industry and does not represent the true carrying capacity for wild horses on public land. AML needs to be updated and management needs to be revamped to utilize the wild herds to reverse desertification. They are an asset. 9.) Where is the accurate and detailed headcount to justify BLM’s claims of excess? Where are the videos and/or facial recognition photographs cataloguing each individual wild horse in the herd management areas to ensure no double counting occurs? 10.) Tourists come to Wyoming from around the world to see the wild horses at White Mountain. They are easily accessible and inspiring. Experimenting on this herd or any other herd is wrongful, cruel and against the majority of the public’s wishes. Any claims you may eventually produce stating that you have not received thousands of hands off comments is a direct result of your poorly publicized proposal on a national and international level. 12.) We want to be able to come to Wyoming to see, photograph, study and film the White Mountain and Little Colorado wild horse herds with foals exhibiting natural behaviors–without radio collars and other devices–and definitely not sterilized. 13.) We are also against radio collars because they are dangerous for wild horses for various reasons including but not limited to hooves getting stuck in collars causing injury or death, EMF related sickness, stress inflicted on federally protected wild horses which lowers their immune system and makes them more susceptible to disease, etc. The public will hold BLM accountable for any injuries or deaths related to radio collars or any other assault on the bodies of America’s wild horses during experimentation that is being white-washed as “research” or “studies”. 14.) I am making a documentary on wild horses and want to film the White Mountain and Little Colorado wild horses exhibiting authentic natural behavior. My documentary might end up being a series so I want to be able to come back to the White Mountain and Little Colorado herds to film them years later and document how the foals have grown up and joined their own family bands with foals of their own, etc. The public likes these sort of nature films. 15.) The proposed roundups for your proposed spay research / experiment would contribute to global warming with all the motorized vehicles used. The environmental cost is too great for this proposed research. The Bureau of Land Management must take actions to reduce global warming–not contribute to it. 16.) America’s wild horses are a native species having been returned to their native lands–if they ever all died out in the ice age. Fossil findings are pushing back the die out date. Now the theory of wild horses going extinct is being questioned. These are exciting times. 17.) Wild horses contribute to the ecosystem, heal the land and reverse desertification. They must not be sterilized. America’s wild horses are a resource who must be protected in genetically viable numbers to ensure survival–especially with environmental challenges ahead of them. We officially ask you to immediately stop your proposal to spay the White Mountain herd which you allege is research. Americans and citizens of the world do not want iconic wild horses of the West to be used as laboratory test animals. 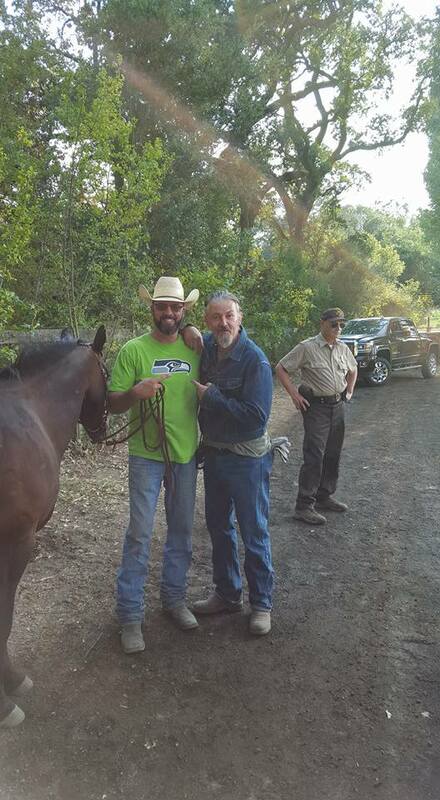 Why are Sharon Stone, Dorian Brown & Tommy Flanagan starring in a film linked to horse slaughter pushers? According to Variety, Running Wild tells the tale of a widow, Stella Davis, who saves her ranch by working with convicts to rehabilitate a herd of wild horses that have wandered onto her property. 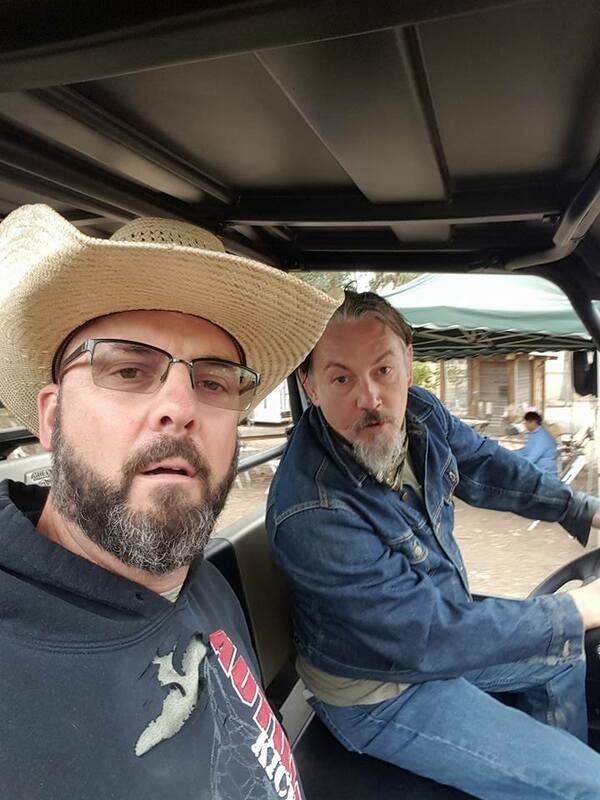 Sons of Anarchy star Tommy Flanagan has been recruited to play Ponytail John, the alpha male of the group of convicts, while Dorian Brown has been cast to play Stella. Sharon Stone will play Meredith, the movie’s main villain. Do these actors starring in the film RUNNING WILD know that wild horses are underpopulated in the wild? Do they understand how cruel and inhumane horse slaughter is? 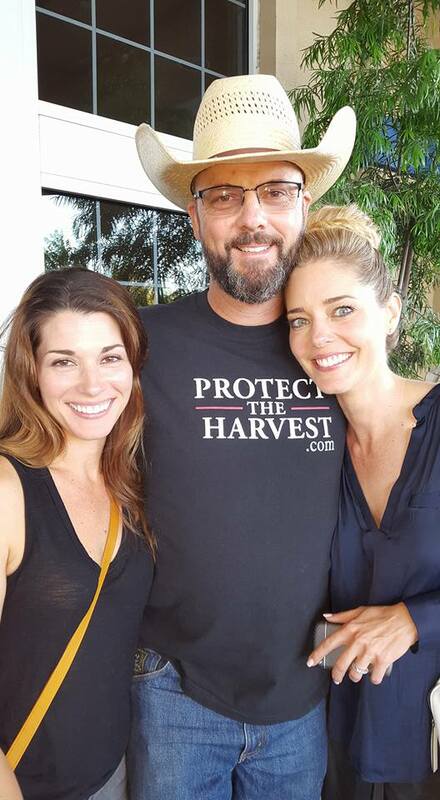 Do these Hollywood actors realize they are being used by HORSE-SLAUGHTER Pushers like Dave Duquette and ESX Entertainment’s producer Forrest Lucas who are behind Protect the Harvest. That’s the HORSE SLAUGHTER non profit working to set up horse slaughter plants in the USA for domestic and wild horses. Members of the crew are wearing t-shirts with the Super PAC logo on it “Protect the Harvest”. Looking at the Wikipedia description of the film, “…widow Stella Davis, fighting to save her ranch from a herd of wild horses by working with convicts…” these actors must know what they are doing. 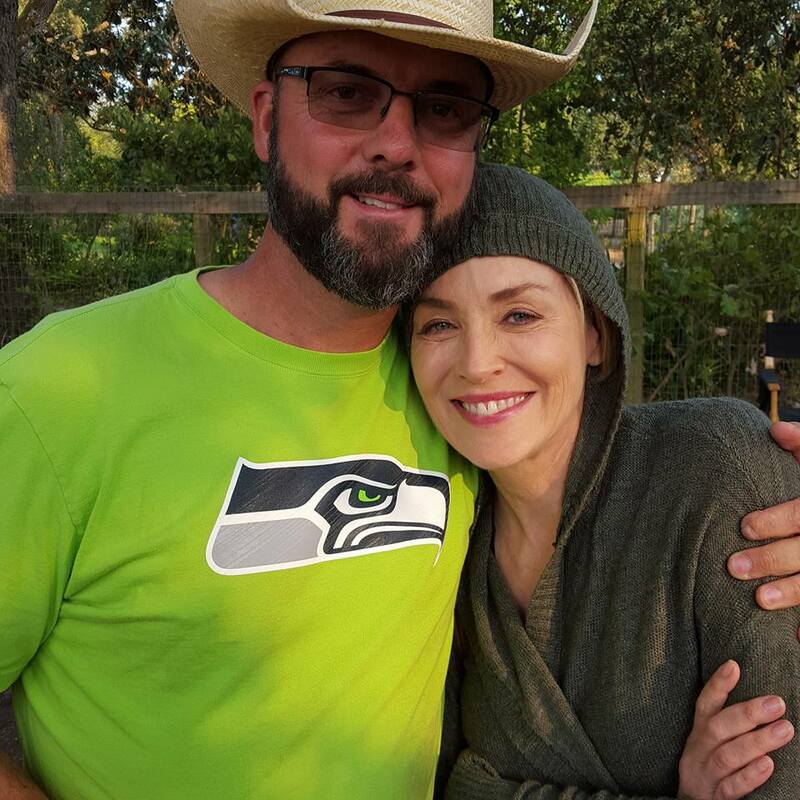 Sharon Stone will star in the drama “Running Wild” for Forrest Lucas and Ali Afshar’s newly launched ESX Entertainment. Alex Ranarivelo (“The Wrong Side of Right”) is directing the film from a script by Christina Moore and Brian Rudnick. 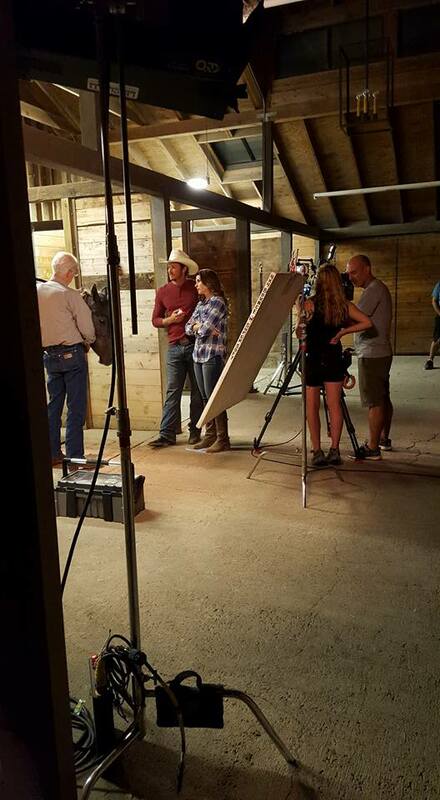 Stone will portray the villain in “Running Wild,” which centers on a widow who saves her ranch by working with convicts to rehabilitate a herd of wild horses that wandered onto her property. The role of the widow will be cast shortly. “Running Wild” is financed and being produced by ESX Entertainment, with Lucas and Afshar serving as producers. Christina Moore is co-producer. Protect the Harvest, the Super PAC made a video filled with untruths, skewed statistics and an old dying horse allegedly starving yet with grass around her — to push for opening horse slaughter plants in the USA. Cattle activists are featured. Lucas’s television production company is making a documentary about abandoned horses starving to death on public lands in the U.S. He wants to reintroduce horse slaughter plants in the United States to allow a better end of life for abandoned, old and unused horses. Dave Duquette, a Hermiston horse trainer who is organizing the slaughter effort, said the City Council is missing a bet on a proposal . 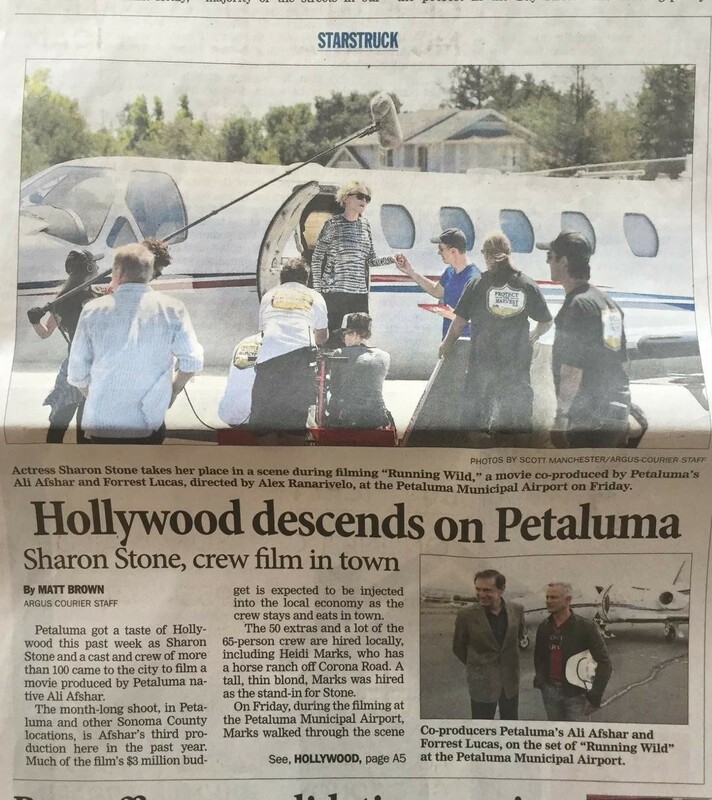 . .
On July 29, 2015, it was announced that Alex Ranarivelo would direct the Horse drama film Running Wild based on the script by Brian Rudnick.Forrest Lucas and Ali Afshar would produce the film through ESX Entertainment, and the banner would also finance the film.On August 18, 2015, Sharon Stone signed on to play the main villain role in the film as Meredith, while the script was done by Christina Moore and Rudnick, and Moore would also co-produce the film.On August 19, 2015, Dorian Brown and Tommy Flanagan joined the film, Brown to play the lead role of a widow Stella Davis, fighting to save her ranch from a herd of wild horses by working with convicts, while Flanagan to play the leader of the convicts. On August 20, 2015, Jason Lewis joined the cast to play the male lead. Just imagine the actors lines here . . . Especially the vet’s lines . . .
PZP is a risky pesticide. Will it ruin the treasured herd? The issue underpinning the use of PZP and the continuing cycle of removals of wild horses from the Pryor Mountain Wild Horse Range is: Whether there are excess wild horses. No, there aren’t. BLM creates the illusion of an overpopulation by administratively setting the maximum herd-size below minimum-viable population. The International Union for the Conservation of Nature determined that, if a herd were managed carefully per a stud-book, it could sustain itself genetically at a minimum of 500 individuals. Compare that number to BLM’s maximum: 120. But can the range accommodate more horses? Yes. By way of comparison, BLM allots 38 acres per cow or calf when setting the stocking-rate for livestock grazing. Thus, the 33,187 acres that compose the Pryor Mountain habitat can support 500 to 873 horses. When the WHR is restored to its original configuration, 44,920 acres, the high-bound can be increased to 1,182. As for PZP, numerous independent studies have disproved the old theory that PZP merely blocks sperm attachment. In fact, PZP’s mechanism of action is to alter ovarian function, causing inflammation of the ovaries and cyst formation. PZP provokes an auto-immune response, wherein the pig-ovary-derived PZP antibodies attack the mares’ ovaries, resulting in dystrophy of those reproductive organs. Despite being hyped as a non-hormonal contraceptive, PZP causes “markedly depressed oestrogen secretion” in mares treated for just three consecutive years. The latter finding was disclosed by Dr. Kirkpatrick himself 23 years ago. PZP-use is associated with stillbirths, altered ovarian structure and cyclicity, interference with normal ovarian function, permanent ovarian damage, prolonged breeding season, and unusually-late birthing dates. A particularly troubling finding suggests that PZP can be selective against a certain genotype in a population. PZP is touted as reversible; however, a recent study warned that just three years of treatment, or administration of the first PZP injection before puberty, may trigger infertility in some mares. Thus, only two PZP injections could be viewed as relatively safe, but it appears that even one injection is risky. The researchers warned that inducing sterility may have unintended consequences on population dynamics by, ironically, increasing longevity while eliminating the mares’ ability to contribute genetically. Most pertinent to the Pryor Mountain herd is a longitudinal study on three herds treated with PZP — Little Book Cliffs, McCullough Peaks, and … Pryor Mountain. The researchers found that the birthing season lasted nearly year-round: 341 days. Out-of-season births put the life of the foals and the mares at risk. That same longitudinal study found that, following suspension of PZP injections, there was a delay in the mares’ recovery of fertility that lasted 411.3 days (1.13 years) per each year of PZP treatment. Thus, mares injected for four consecutive years (per BLM’s “prescription”) would be expected to take 1,645.2 days (4.51 years) to regain reproductive capacity. If disaster were to befall the Pryor Mountain horses, even if PZP were stopped immediately, it would take years for the herd to recover, if ever. PZP has neither stopped nor slowed the roundups. Only lack of holding space has done that. Even the Pryor Mountain herd, injected for decades with PZP, is facing removals again this summer (per the usual three-year cycle) in addition to an intensified PZP “prescription” to be administered per an “equal opportunity program” eerily similar to Communist-China’s one-child policy. What’s ironic is that, for all the interference, BLM has achieved basically the same — or worse — record as has been attained the International Society for the Protection of Mustangs and Burros. ISPMB complies with the “hands-off” minimum-feasible management approach stipulated by the Wild and Free-Roaming Horses and Burros Act. ISPMB’s two wild herds grew 8.73 and 5.08 percent, respectively, without PZP and without removals. Pryor Mountain’s most recent report — reflecting management with PZP and with removals — grew by 8.26 percent. BLM needs to get out of the way of Nature. Let the Pryor Mountain herd find its own appropriate population level. Please donate to Protect Mustangs’ Legal Fund: https://www.gofundme.com/mustanglaw2016 to help the voiceless in court. Thank you! WARNING: Slaughter Fear-mongering pushes forced drugging with PZP on wild horses! Does the Humane Society of the United States (HSUS) want to take over the Wild Horse and Burro Program, pushing forced drugging with PZP (pesticide made from slaughterhouse pig ovaries http://www.epa.gov/pesticides/chem_search/reg_actions/pending/fs_PC-176603_01-Jan-12.pdf) for management on underpopulated herds? PZP is a “tool” to manage wild horses to extinction. Science proves PZP (native, 22, etc.) sterilizes after multiple use. Isn’t the American Wild Horse Preservation Campaign (AWHPC) the wild horse mouthpiece for HSUS? Doesn’t their pledge to “keep them in the wild” written up in the Huffington Post include forced drugging with PZP as their cornerstone management tool? Does HSUS want to create zoo-like settings to “keep them in the wild”? HSUS endorsed the former Secretary of Interior’s Plan, aka the Salazar Plan, in 2009. Now the plan is entering the final wipe-out phase with the help of PZP pushers.